Always one of the most fiercely contested – and prestigious – sprint handicaps of the year, and the 2017 renewal looks well up to standard. Ante-post favourite Outback Traveller bids to emulate Selhurstpark Flyer, the last horse to win in successive years. Outback Traveller is only 4lb higher in the weights this time, but trainer Robert Cowell believes his chance of a repeat is partly dependent on any easing of the ground. “He’s in great form and ran an eyecatching race in the Victoria Cup over seven furlongs, which he doesn’t stay,” said Cowell. Will Egan’s claim prove vital aboard Certificate? Rising star David Egan, who had his first Royal Ascot ride aboard Baydar in the Duke of Edinburgh Stakes on Friday, takes a valuable 5lb off Certificate’s back. 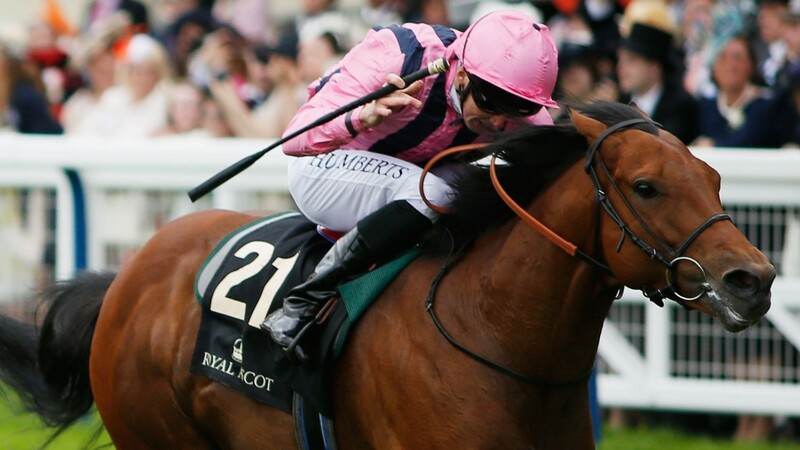 The six-year-old is having his first start over 6f, having raced exclusively over 7f and a mile so far, and trainer Roger Varian said: “He just needed his reappearance run at Haydock and boasts some solid form at stakes level last season. Can Boom The Groom enjoy change of luck? Seven-time scorer Boom The Groom looks well capable of landing an event of this nature and trainer Tony Carroll is just hoping the six-year-old enjoys an overdue change of fortune. “His preparation has been good. In fact, everything has been good,” Carroll said. “We’ve had a great week with him. He'd be well in on the best of his form for Richard Fahey. I've been very happy with him but we wouldn't mind a slight ease in the going, so we'll monitor the situation and make a decision on Saturday. I’m very happy with him. He’s always been a better horse when fresh and we haven’t run him since April. He likes Ascot and I’m hopeful. Ryan Moore has ridden Raucous twice this season, winning well at Chelmsford but running not so well last time. He’s got half-blinkers on which he seems to enjoy and he’s in good form. He’s got good handicap form and I think a fast-run, big-field handicap is what he wants. Squats gets on very well with Georgia Cox. They'll have to come down the stands-side rail and I can’t complain if they beat everything on their side of the course. Birchwood is working well and isn’t badly handicapped on his best form. He’s in great order. Eastern Impact ran very well when second to Mr Lupton and we’ve been very happy with him since. He’s another with a chance. They are in good order and drawn close to each other – I’m not sure if that’s good or bad. Danzeno has dropped to a decent mark – he needed the run desperately at York and has come on a lot for it. Ideally Poyle Vinnie could do with some rain. If we did get a downpour I’d say both would have realistic each-way chances. This has been the plan since the beginning of the year. He needed it more than I thought on his return at Newmarket, where he was in the process of running a promising race until he tired. He's been in good order at home since and hopefully his position by the stands' rail will be an advantage. He has plenty of good form at Ascot and is tailor-made for the track. He's really a six-and-a-half-furlong horse so the likely good pace will suit him. He likes fast ground. The good pace of a cavalry charge will suit him. Judged on what we’ve seen this week it’s difficult to assess whether he’s got a good draw in stall nine or not. He’s a very good horse on his day – he won a nice race for us at York – and is fully entitled to take his chance. He’s a good horse and we’re going there believing we’ve got a chance. We’re putting a visor on for the first time as he's been idling in front – hopefully it will do the trick. He loves a big field and should like Ascot. I would love a downpour. His chance would be boosted if the rain came.